Megan, who blogs at Behavioral Child and Megan Blogs, was a guest of the CBS TV show The Talk when Dr. Gadget was on, and among other things, she was given the iCandy Cherry stroller, in the liquorice color. She is giving it away to one lucky, random winner. This British-made stroller is very popular in Europe and is sold only in exclusive stores here in the US. Its retail value is $400. Disclaimer/Disclosure: Megan or Krazy Kabbage have not used this stroller so can’t vouch for it. It is in its original/new packaging and will be shipped to the winner in the exact same condition. So essentially, Megan is re-gifting it. CBS, The Talk and Dr Gadget are not involved with this giveaway. By entering this giveaway, you agree to indemnify Megan, Krazy Kabbage, The Talk, and iCandy from any responsibilities of all issues arising from the receipt and use of this prize. Thanks for participating and good luck! 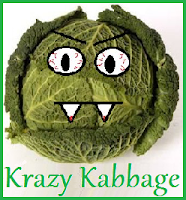 Krazy Kabbage is not involved in winner selection or fulfilment of the prize.